You may have noticed more than a few homes in your neighborhood getting new roofs. This can cause concern, making you wonder if it is time for your home to get a roof replacement as well. As a rule, if many homes in your neighborhood are seeking roof replacement it is time to start considering the same for your roof as well. However, how do you know if your roof is in need of service? There are a few key points to keep in mind that can help you determine whether or not you should call your roofer as soon as possible. 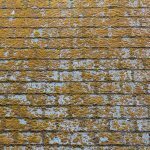 Algae and Mold are a sign your roof needs replacement. Take a good look at your roof. Do you see any balding areas or missing tiles? Are the tiles remaining damaged or curling? While some instances may make due with a quick repair, these can also be signs that you need a roof replacement. Be especially careful to notice any algae or moss growing on your roof, as this means your roofing material is retaining water and in need of replacement. Most roofing materials have an expected life span before installation. Your roofer will be able to tell you the length of time certain materials, such as tile, shingles, and metal, are meant to last. With an average lifespan of 25 years, it is important to note how long your roofing materials stay the same. Cleaning your gutters are always a great idea. This system can tell you a great deal about the state of your roof. If you see any broken pieces or granules in your gutter from your roof, your roofing materials may be wearing excessively. This means a roofing repair or replacement should be added to your schedule. As always the last step you should take is to have your local, professional roofing contractor inspect your roof. They can determine areas of concern and whether you need roof repair or roof replacement for your home. Need to get started on your roof repair or replacement today? Call Thompson Roofing & Siding at (573) 789-8367 for quality roofing services in Lake Ozark, MO! Posted in Uncategorized on March 22, 2017 at 6:49 pm by Thompson Roofing & Reconstruction.